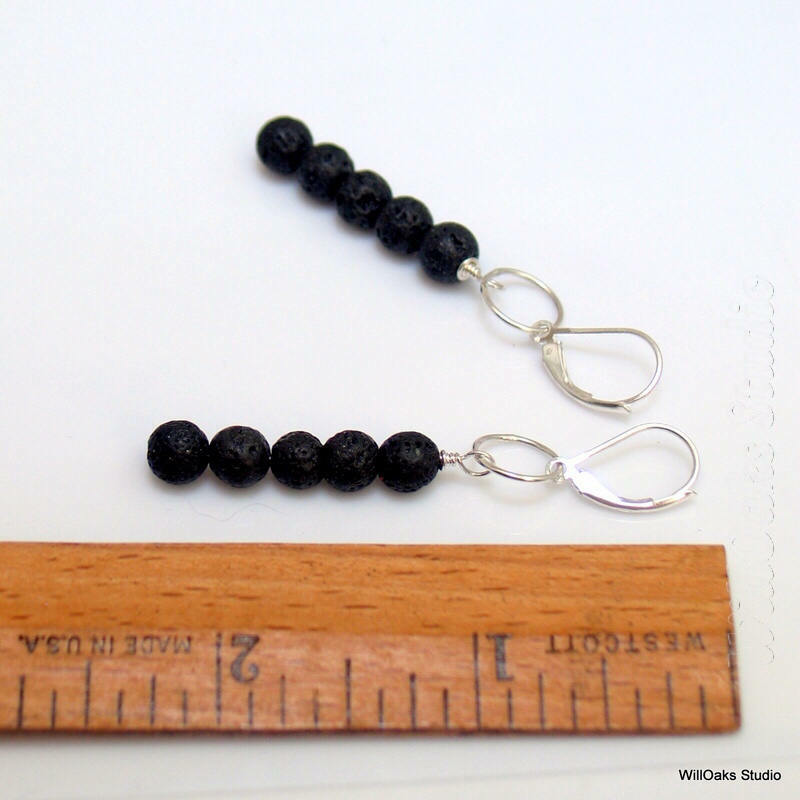 Elegant long black and sterling silver dangle earrings, handmade in 4 different styles, are original essential oil diffuser jewelry. 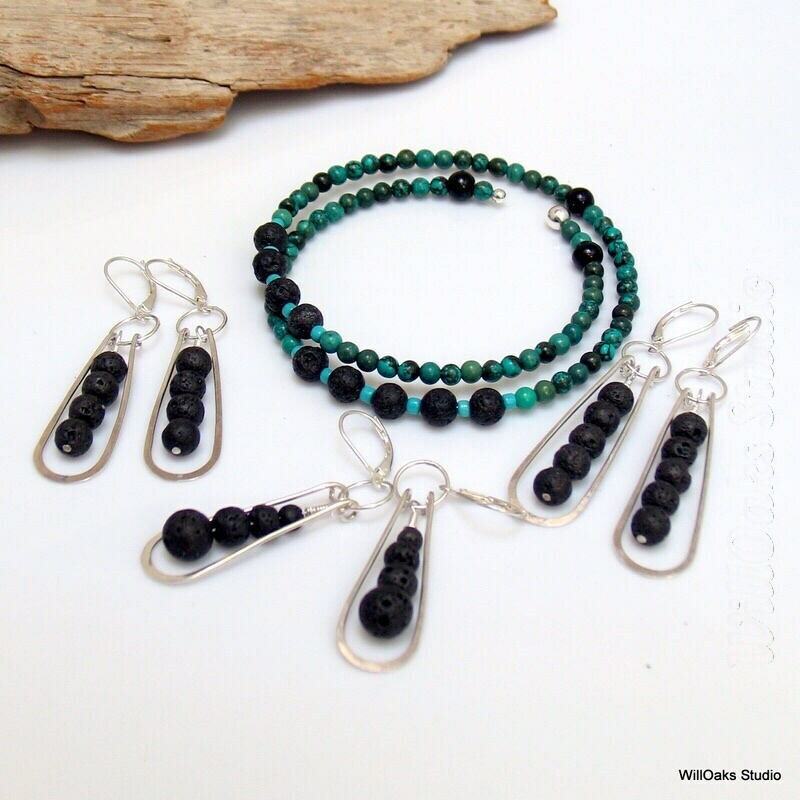 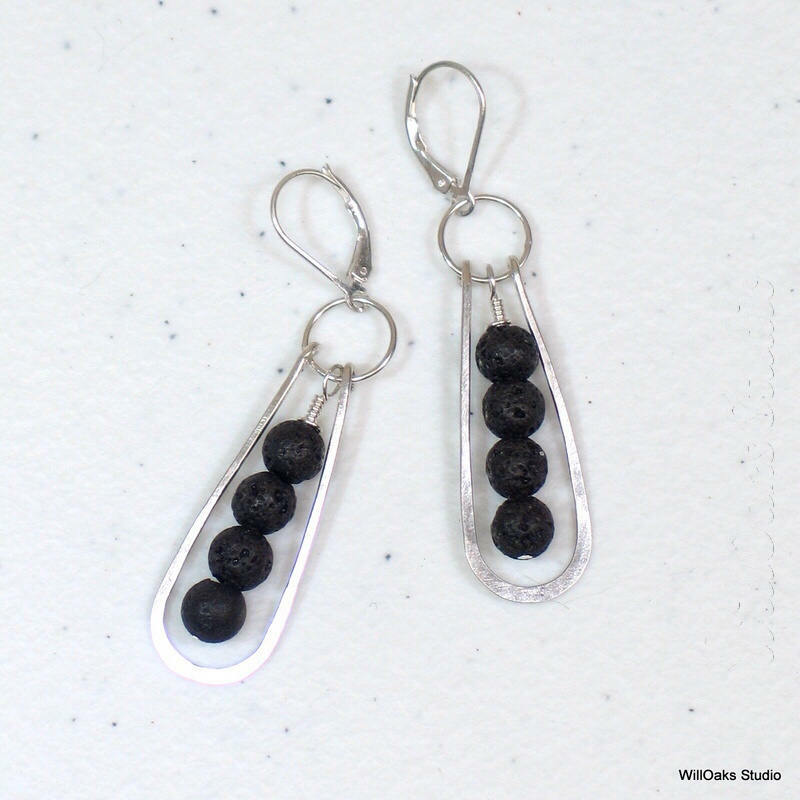 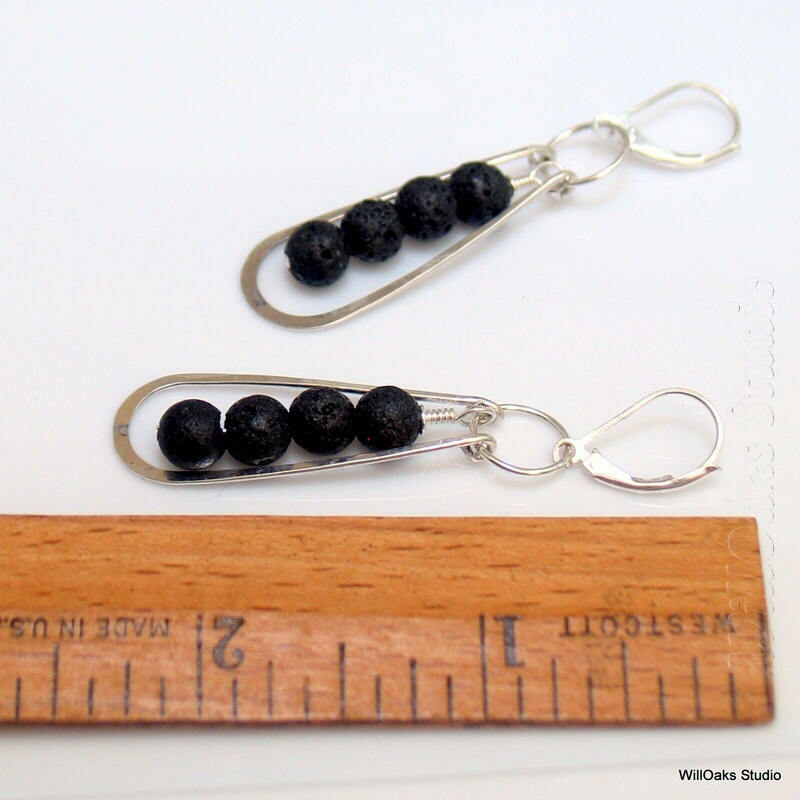 Black lava stone beads are mixed with hand forged silver for earrings that are between 2.25" and 2.5" in total length. 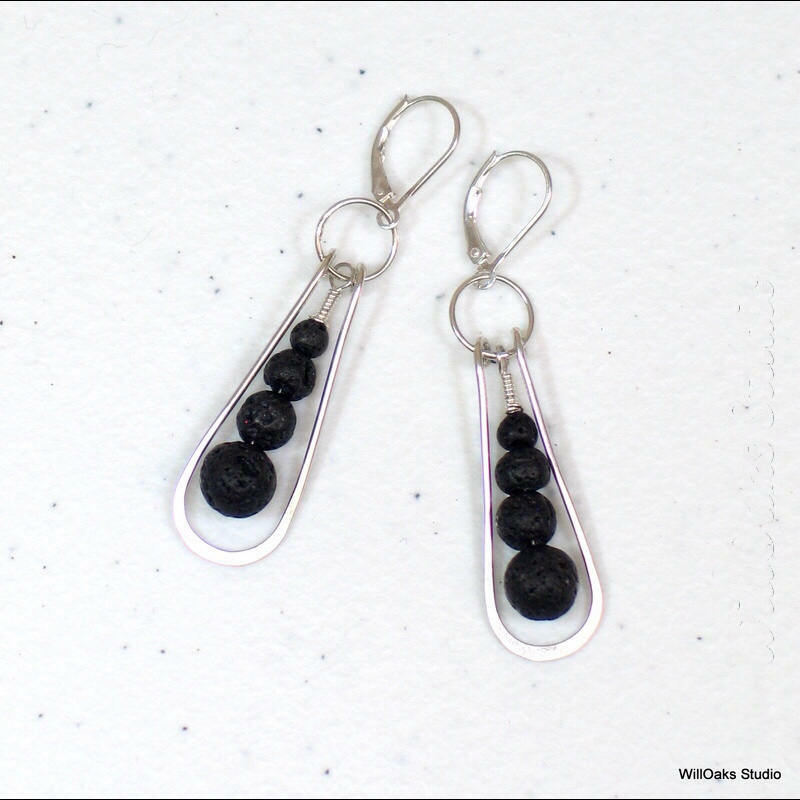 Lightweight, swingy and easy to wear dangles are extra secure with .925 sterling lever back ear wires. 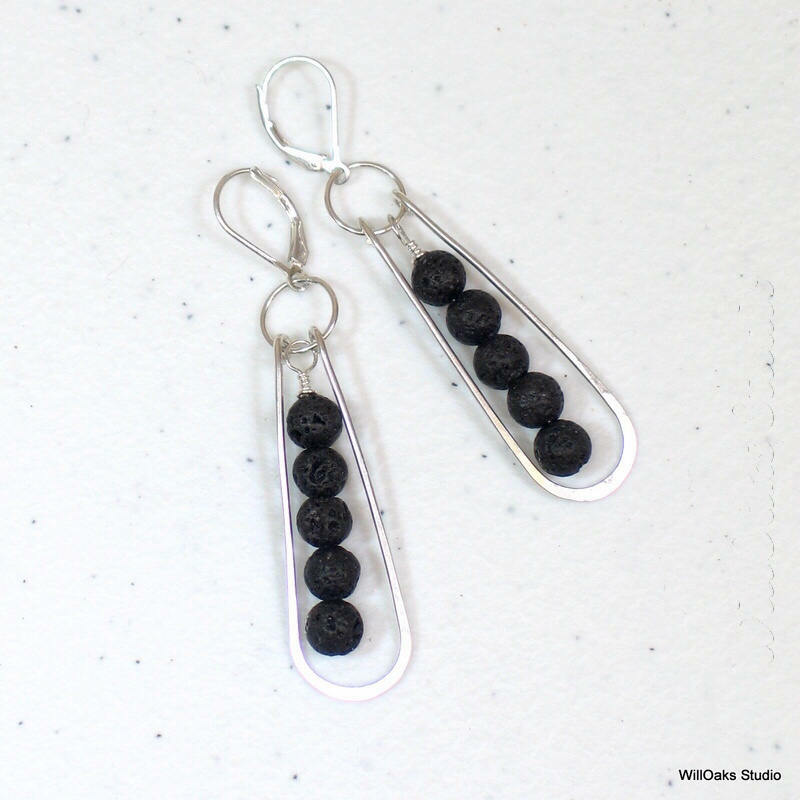 And lava stone is perfect to carry the scent of your favorite essential oils. 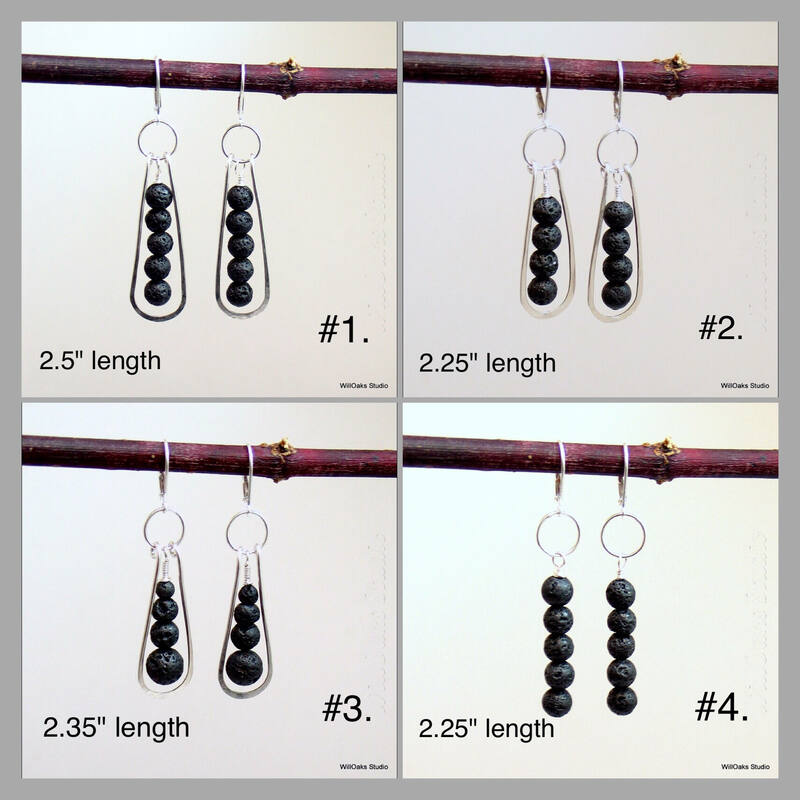 Made to order; minor variations are normal. 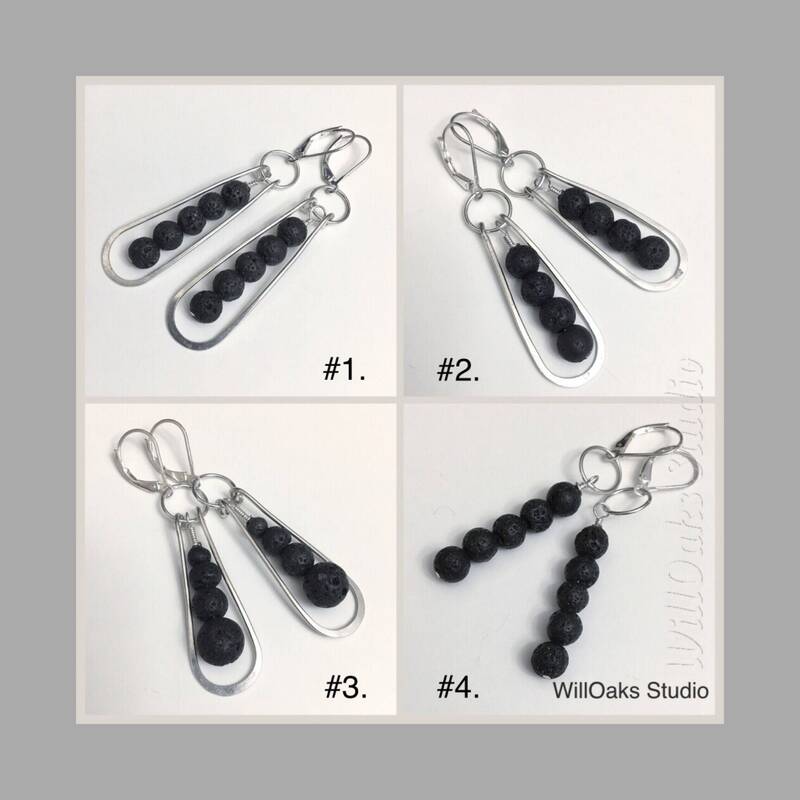 Beautify and de-stress your day with original essential oil diffuser jewelry! 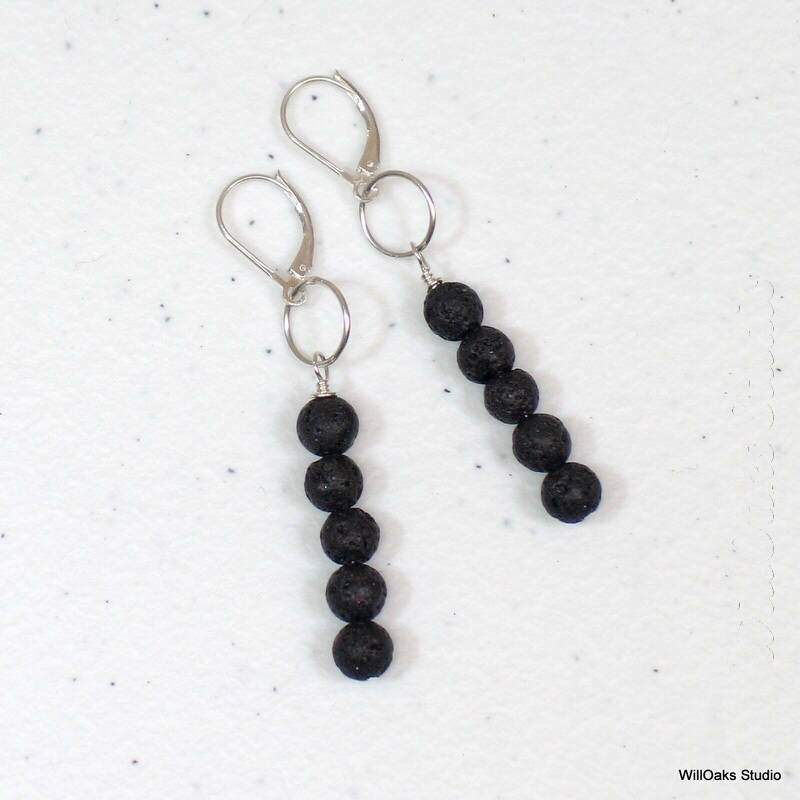 See more of my work here https://www.etsy.com/shop/WillOaksStudio?